However, the full tag info contains a lot more information which helps users. 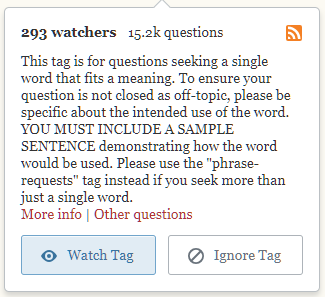 Getting at that information is not obvious: you need to click the View tag link which provides a list of questions and an abbreviated excerpt, and then click the Learn more... link. 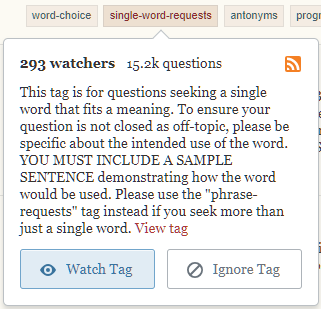 The old tag pop-up used to include a link to the full tag info, and it appears that this was implemented as a result of a request in 2011 which changed behaviour which was remarkably similar to what happens now. Here's an example I found to give the idea. The Info link showed the full tag info. The current behaviour is a regression, breaking something which was previously fixed. 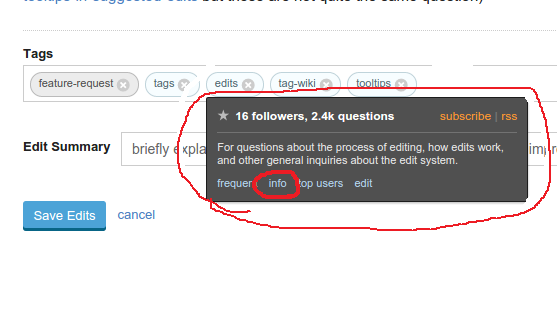 Browse other questions tagged feature-request tags tag-wiki . Is it possible to find tag-info (tag-wiki and tag-excerpt) for the tag which was deleted? In a Tag Info, shouldn’t the “history” link being labeled “full wiki history”? If a tag is removed and later created again, is the original tag-info recreated, too?